Marie F. (Schulter) Haytmanek, 88, of Allentown, passed away April 11, 2019 in Country Meadows, Bethlehem. She was the loving wife of the late Edward G. Haytmanek who passed in 2005. Born in Allentown, she was the daughter of the late Charles R. and Frances S. (Hoffmeister) Schulter. She graduated from Allentown Central Catholic High School in 1949 and then from Allentown Business College. Marie worked for a Catholic Social Agency as an Adoption Secretary for 23 years before her retirement. She was a member of St. John the Baptist Slovak Catholic Church and the American Legion Auxiliary Unit 576. Survivors: daughter- Susan Schultheis of Allentown; son- Mark T. and wife Donna (Mankiewitz) Haytmanek of Greentown; grandsons- Craig Michael Haytmanek, Joseph Schultheis, and Aaron Schultheis; sisters- Margaret J. Zuercher of Bath and Frances V. Sniscak of Allentown; brothers- Charles A. Schulter of Las Vegas and Alfred W. Schulter of Northampton and many nieces and nephews. She was predeceased by her grandson- Taylor Schultheis. A viewing will be held on Monday, April 15th 8:30-9:30AM in Kohut Funeral Home, Inc. 950 N. Front St. Allentown, PA 18102. Mass of Christian Burial will be celebrated Monday at 10AM in St. John the Baptist Slovak Catholic Church 924 N. Front St. Allentown, PA 18102. Burial in the Parish Cemetery will be Private for the family on another day. 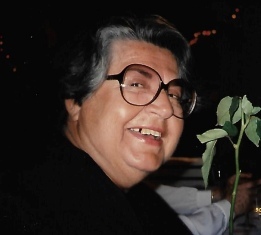 In lieu of flowers, contributions can be made in Marie’s memory to the church. 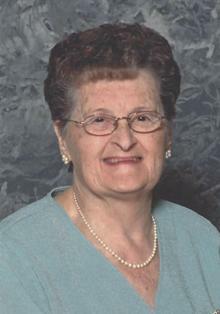 Stephanie "Stella" Hutzayluk, 93, of Zionsville passed away peacefully Sept. 6 in Lehigh Valley Hospice in Allentown. She was the wife of the late Metro Hutzayluk. Born in Allentown, she was a daughter of the late Wasyl and Tekla Karol. Stephanie was a lifelong, dedicated member of St. Mary's Ukrainian Orthodox Church in Allentown, where she sang with the choir and served as an officer and on numerous committees and programs, including Sunday School. She was a member of the former Ukrainian American Citizens Club in Allentown, where she also served as an officer. She is survived by her sons Metro Jr. and wife Barbara and David and wife Marjorie; five grandchildren, and 3 great grandchildren. In addition to her husband and parents, she was predeceased by a brother and sisters. Services: A viewing will be held at the Kohut Funeral Home, 950 N. Front St in Allentown on Sunday between (5 & 7) and a viewing will be held at St. Mary's on Monday at 9:00 AM followed by funeral services at the church. In lieu of flowers, donations may be to St. Mary's Ukrainian Orthodox Church, 1031 Fullerton Ave., Allentown, PA 18102. Survivors: husband- Leonard P. Hauser; children- Thomas Roberts of Allentown, Jessica Kirk and husband Robert Kirk of Slatington, Leonard Hauser Jr. of Bethlehem, Stephanie Weiss of Coopersburg; grandchildren- Jennifer & Allison Roberts, Caitlin & McKenna Kirk, Brenton & Clayton Weiss; 2 sisters. She was predeceased by her brother- James Roberts. A calling time will be held Saturday, September 8th 10-11AM with a Memorial Service at 11AM in Kohut Funeral Home, Inc. 950 N. Front St. Allentown, PA 18102. Burial to follow in Cedar Hill Memorial Park, Allentown. Contributions can be made in Mary’s memory to the Easter Seals care of the funeral home. Mary Ann F. Halada, 79, of Allentown, died in her home July 17, 2018. Born October 4, 1938 in Allentown, she was the daughter of the late Albert and Valeria (Wronski) Halada. A graduate of Allentown Central Catholic and Sacred Heart School of Nursing, her career was a Nurse Anesthetist at Sacred Heart Hospital and Lehigh Valley Hospital where she worked until her retirement. She was a member of St. John the Baptist Slovak Catholic Church. She is survived by several cousins. She was predeceased by her beloved brother- John “Jackie” Halada. A calling time will be held Thursday, July 26th 9:30-10:30AM in Kohut Funeral Home, Inc. 950 N Front St. Allentown, PA 18102. Mass of Christian Burial to follow at 11AM in St. John the Baptist Slovak Catholic Church 924 N. Front St. Allentown, PA 18102. Burial to follow in the parish cemetery. Contributions can be made in Mary Ann’s memory to the Poor Clare nuns at Monastery of St. Clare 1271 Langhorne-Newtown Rd., Langhorne, PA 19047-1202. Wanda (Benthien) Horbowji, 83, of Allentown, passed away December 15, 2017. She was the loving wife of 56 years to the late Peter Horbowyj. Born in Germany she was the daughter of the late Hahns and Minna Benthien. Wanda worked as a seamstress for Schneider Manufacturing until her retirement. She was a member of EC Christ the Blue Church in Easton. She enjoyed crocheting, sewing and playing BINGO. Survivors: Children, Patricia Ann Dwinell and husband George of Palmerton, Peter Horbowyj and wife Janet of Coplay, Mary Romig and husband Robert of Bethlehem, Sonja Kustafic of Whitehall; Grandchildren- Christine Sides, Chris Bear, Autumn Horbowyj, Collins Horbowyj, Robert Dwinell, Mark Newhartz, Daniel Frey, Jessica and Sarah Romig; Great Grandchildren- Cam, Scarlett, Alec, Bennett, Alana, Cecilia, Ana and Kaleb. A viewing will be held on Thursday, Dec 21st 9-10AM with a Service at 10AM all in Kohut Funeral Home, Inc. 950 N Front St. Allentown, PA 18102. Burial to follow in Woodlawn Memorial Park. Virginia A. (Lipovsky) Hovan, 74, of Allentown, passed away December 2, 2017. She was the loving wife of the late Reginald R. Hovan Sr. Born in Allentown, she was the daughter of the late Aloysius and Helen (Rossowski) Lipovsky. 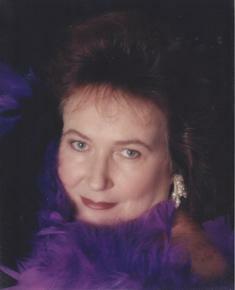 Virginia had worked for Traubs Market, the Swain School, Kay Jewelers and modeled for Hess’s Patio. She was a member of St. John the Baptist Slovak Catholic Church. She had a “Club” of friends that she enjoyed meeting with once a month, for over 50 years. Above all, her joy in life was spending time with her children and grandchildren. Sons- Reginald Hovan II and wife Tammy, Mark Hovan and wife Jen, Scott Hovan and wife Shelly; daughters- Heather Childress, Taylor Hovan; grandchildren- Mark, Robert, Jordan, Mackenzie, Kortney, Reginald III, Victoria, Hamilton, Hunter, Cole, Maxwell, Kendra; great granddaughter- Elliana; brother- James Lipovsky and wife Stephanie; sisters- Monica Abraham and husband Thomas, Joanne Hess and husband Jacob; sister-in-law- Patricia Lipovsky. She was predeceased by her brother- Bernard Lipovsky. A viewing will be held Wednesday, December 6th 11:30AM-1PM in Kohut Funeral Home, Inc. 950 N. Front St. Allentown, PA 18102. Mass of Christian Burial to follow on Wednesday at 1:30PM in St. John the Baptist Slovak Catholic Church 924 N. Front St. Allentown, PA 18102. Burial to follow in the parish cemetery. In lieu of flowers, per Virginia’s request, contributions can be made to Kohut Funeral Home towards funeral expenses. Edward R. Helinsky, 90, of Allentown, passed away September 26, 2017. He was the loving husband of the late Mildred (Gurgick) Helinsky. Born on Christmas Day in Bethlehem, he was the son of the late Catherine (Schultz) Helinsky. 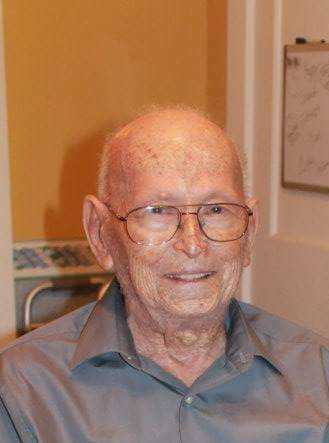 He served in U.S. Army during WWII. Edward worked previously for Goulder, Climax Specialties, Inc. and then Phoenix Clothing. He was a member of St. John the Baptist Slovak Catholic Church. Survivors: Sons- Raymond and wife Anna Marie of Lansdale, Thomas of Kansas City, MO; Daughter- Beverly Hennessy and husband Robert of Allentown; Grandchildren- Heather, Melissa, Sara, Robert and Allison; Great Grandchildren- Maxwell, Ira, William and Edward. He was predeceased by his daughter- Diane Helinsky and wife- Mildred Helinsky. A viewing will be held Saturday, Sept 30th 9:30-11AM with a service at 11AM in Kohut Funeral Home, Inc. 950 N. Front St. Allentown, PA 18102. Burial to follow in St. John the Baptist Slovak Cemetery. Mary A. (Wiener) Horvath, 99, of Allentown, passed away February 1, 2017 in Phoebe Nursing Home. She was the loving wife of the late Eugene F. Horvath Sr. Born in Allentown, she was the daughter of the late Frank and Catherine (Dominko) Wiener. She worked for various clothing factories until her retirement. Mary was a member of Sacred Heart Catholic Church. She enjoyed gardening, going dancing, baking for her family and loved animals. Survivors: Children- of Allentown, Eugene F. Horvath Jr. of Allentown, Janice Horvath and husband Russell Rehrig of Allentown; Grandchildren- Kim and Vicki; 2 Great Grandchildren; Sister- Christina Daniele; Brother- Jerry Wiener. She was predeceased by her daughter- Carol Beitler and her siblings- Tessie, Kitty, Stephen, Frank and Cecilia. A viewing will be held Monday 12-1PM with a service to follow at 1PM in Kohut Funeral Home, Inc. 950 N. Front St. Allentown, PA 18102. Burial to follow in St. Marks Cemetery, Allentown. In lieu of flowers, contributions can be made in Mary’s memory to Lehigh County Humane Society c/o the funeral home.